Cleveland, TN is nestled in the Tennessee River Valley, about 30 miles from Chattanooga. Most people who come to the area are looking for a good place to spend some fun doing outdoor activities like camping, fishing, boating, hunting, or hiking. If you are a homeowner in the Cleveland area, you probably agree that it is a blessing to live in the area if you love the outdoors. There are such lovely views in the area with the city resting at the base of the Appalachian and Great Smoky mountain ranges. The beautiful views can be seen while traveling just about anywhere, as well as from our own homes. Our question for homeowners in the Cleveland area is, “How does the exterior of your home look when viewed up against such a beautiful natural backdrops? Is it time to repaint the exterior of your home, or do you need some siding or surface repair? The Cleveland area is located in a relatively moderate climate zone. But even so, the weather and time still tend to scour away the painted and protected surfaces of our homes. It doesn’t take very many years of season changes to work at the finishes and eventually wear them down. 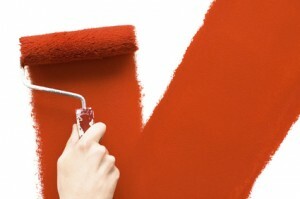 If it has been some time since your home has been painted, you will want to consider having it done. When paint wears off a home, the surfaces can be exposed including any cracks or crevices the old paint had once covered. This allows bugs and pests and possibly mold or mildew into the home. We understand how much you love your home. With every project we handle, our number one goal is to make you even more satisfied with your home. When your painting project comes to an end and you take a look at the results, nothing makes us feel better than to know we did a good job that you will be proud of. Williams Painting Company appreciates your feedback. Please give us more time to collect your reviews and they will be displayed below. 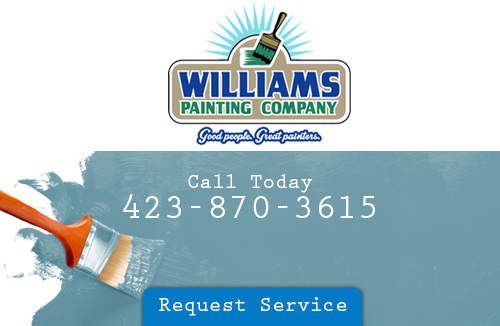 If you are looking for a professional painting contractor in Cleveland Tennessee, call Williams Painting Company LLC at 423-870-3615 or complete our online request form.